Air Jordan 4 Retro "Terror Squad"
Fat Joe is no stranger to the sneaker game – In fact, before social media networks and shoelebrities, Joey Crack gave us a sneak peek at his collection in a classic MTV Cribs episode, where he licked the bottom of his OG Olympic VII’s. 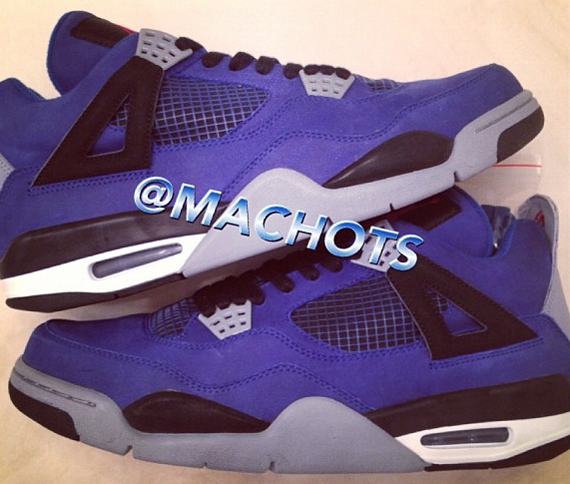 Today, we see another exclusive under the TS collection; a Blue Air Jordan 4 featuring nubuck uppers. 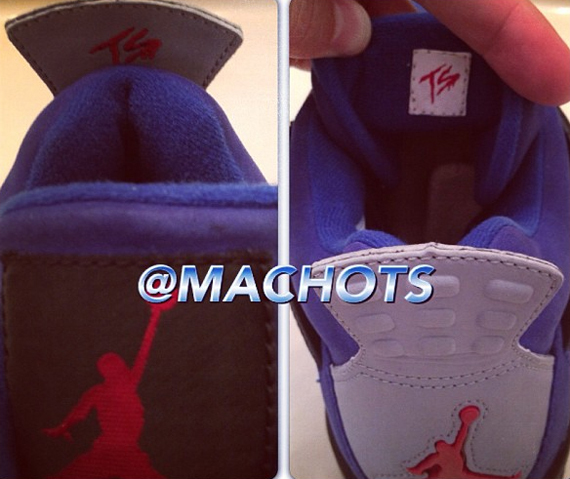 The colorway is accented in black and grey accents, with TS labels on the heel and behind the tongue. 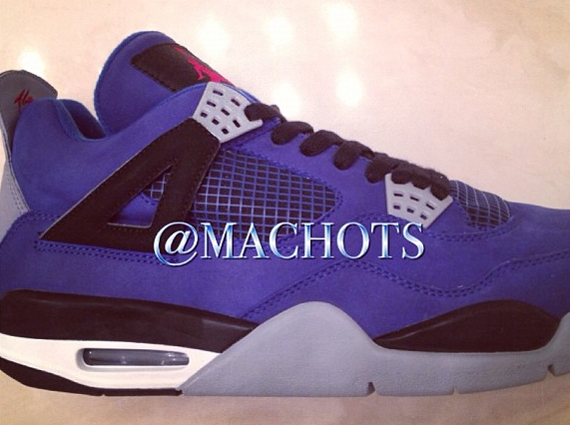 Would you cop these? Let us know. You only lick the sole if it’s icy, and air jordan 7’s don’t have icy soles. Fat Joe, you are not a sneakerhead.